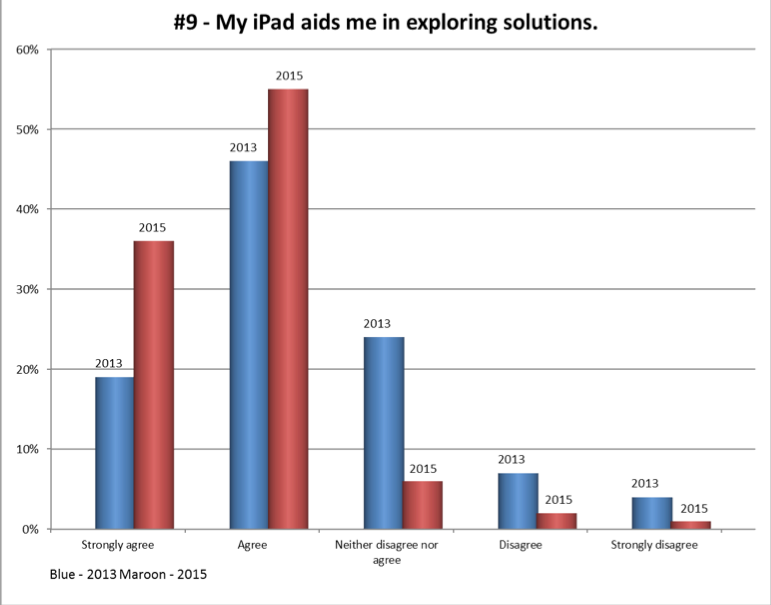 This spring we completed a survey of nearly all of our ninth graders using a likert scale to measure their perceptions of how intrinsic their iPads were to their learning in school. We used the the ISTE Standards for Students as the criteria for measuring this. We has used the identical survey in 2013 when we applied to become an Apple Distinguished School. In every instance the 2015 students were in greater agreement that they had made the fifteen standards that we had selected. The above chart is an excellent example. 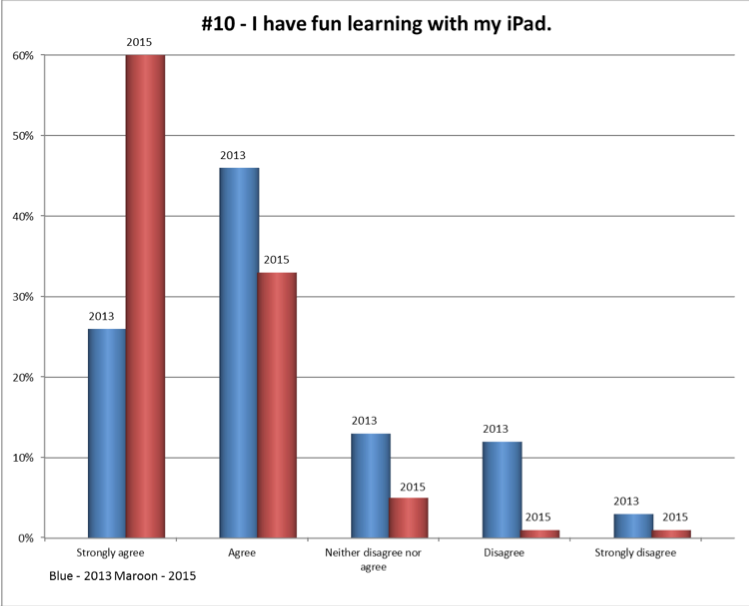 Asked to what extent they agreed that they had fun learning with their iPads, about 57% agreed or strongly agreed in 2013. In 2015, 60% strongly agreed and the great majority of the rest agreed. Why did the 2015 ninth graders a higher percentage of agreement with the survey statements shaped from the ISTE Standards. My own classroom observations lead me to believed that their teachers integrated the iPad more fundamentally into instruction. I also believe that the Mercy’s adoption of Schoology as and LMS was a factor. The iPad app for Schoology is closely approximates browser functionality. Click through the following slide show if you are interested in seeing the other survey results* as well. *Thank you Christopher Blitz for creating this great slide show for our updated version of iMercy.